Learn to dance..... Learn to live!! ​To create the best and happiest social dancers you can ever be! And help to spread the healthy "Salsa bug" across the world! OUr Courses at a glance! ​" Divina is fantastic at dealing with people (like me) who are completely new to Salsa. She is able to teach the moves while making you comfortable. The class was real fun... "
​" Divina and Rangel had us realise that one could absolutely learn how to dance. Learning our steps with Divina and Rangel was an enjoyable experience from the booking process to the final "good luck". They correctly assessed our level and the steps that would suit both the skills we had when we started and the ones we acquired by the end of the sessions.... "
​" As a non-dancer I was a big apprehensive but Divina friendly and encouraging manor put me at ease and by the end of each class I have seen tangible improvements. Divina`s introductory class enabled her to assess my level and discuss my goals and aspirations. She has responded to these perfectly...."
​If you haven't discovered the joy of Salsa dancing yet I beg you, don't waste any longer! "If you are a newbie to the extraordinary world of Latin dances than you should definitely read this! 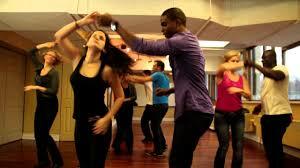 Dancing SALSA and the other Latin Dances associated with it (Bachata, Merengue, Reggaeton and now Kizomba ) is a wonderful way to have fun, distress, unwind, socialize, get fit, increase your happiness hormone levels which improve your mood, and keep you in a positive mood for long periods! It makes you gain a lot more confidence and makes you become a more outgoing and cheerful person. It will change the way you move your body and the way you interact with people. It works magic on our immune and nervous system too! It's therapeutical!! 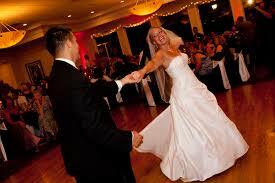 Read The Health Benefits of Salsa Dancing here "
Don't hesitate any longer then! The moment you decide to learn how to dance Salsa you will enter a new exciting stage of you life and you will never go back.